Most guests prefer to book on your website. 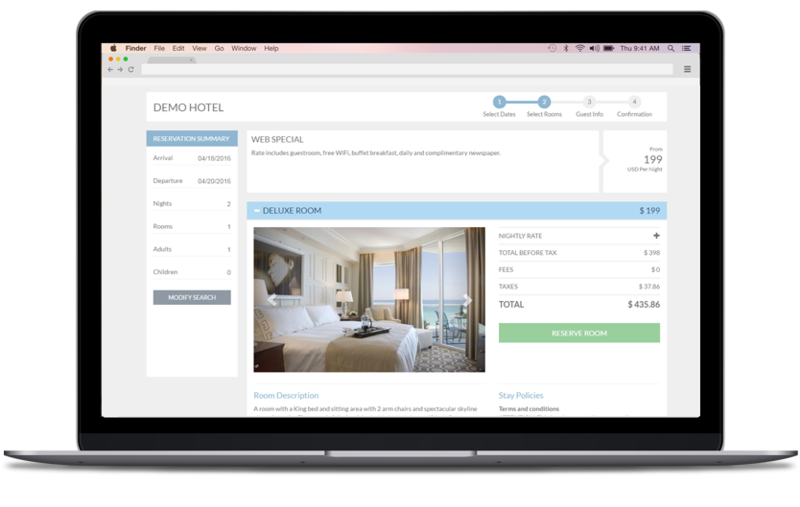 That is why the booking engine is fast becoming the #1 source of revenue for most hotels. This means you must have a fast, guest-friendly booking engine on your website or potential guests will book with a competitor. Snap will keep you ahead of your competitors and help you turn lookers into bookers! The Snap Booking Engine is free! Snap booking engine is optimized for all computer types. Guests love the new user-friendly design. Happy guests = more bookings. The Snap BE is integrated with the Front Desk Dashboard. 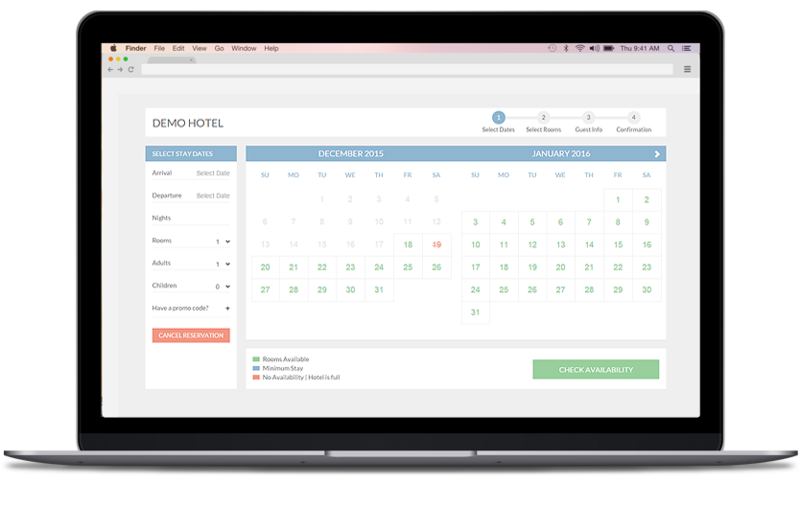 One click at the Front Desk Dashboard controls the Booking Engine, your OTAs and GDSs. 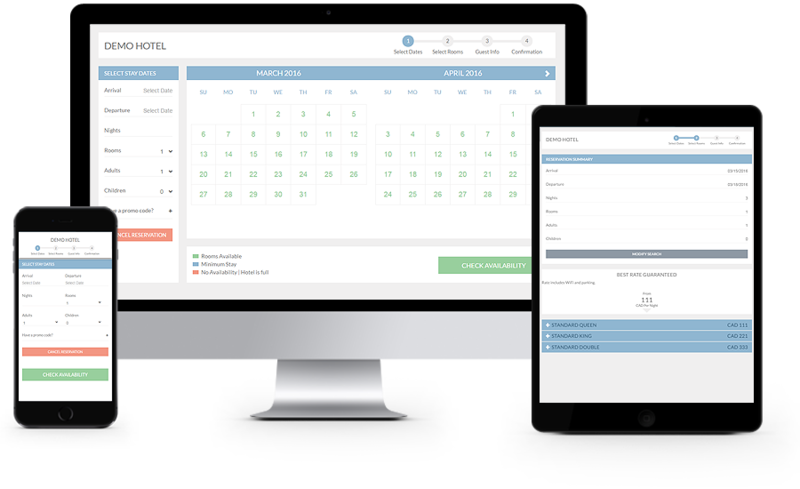 Get almost instantaneous availability results. Snap has super secure encryption. We use the new TLS 1.2 encryption- more secure than old style HTTPS. Track bookings/revenue related to Google AdWords campaigns.